Bury bounced back from a 1-0 loss to Carlisle to beat Colchester 2-1 away from home. 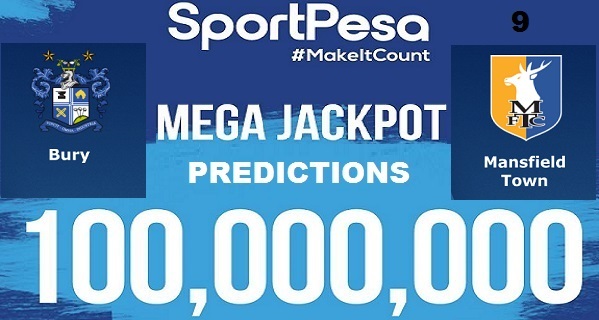 They are at position eight on the table with 16 points having won five games, drawn one and lost four. They have played four home league unbeaten till they faced Carlisle at home where they lost. Mansfield impressed in the previous game having beaten Northampton 4-0 at home to recover from the two winless previous games. This puts them 14th on the table with 14 points. They have played nine league games; they won three, drew five and lost one. They have drawn in all their four away league games this season. Bury have won eight times, drawn five and lost two in all their meetings with Mansfield. 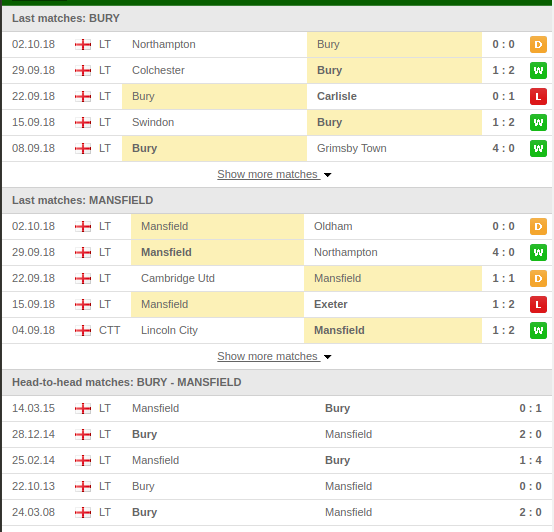 Bury have dominated this fixtures in the previous meeting and head into this tie a point adrift of the play off places. Mansfield biggest undoing is turning draws into wins having racked 6 from their first ten matches thus far, four of those have come on the road. Bury should be favorite ahead of this tie but a draw looks on the card here.